Portraits of individuals from the past and present introduce you to nine tribes who have lived in North Dakota. Hear a greeting in the Mandan language. 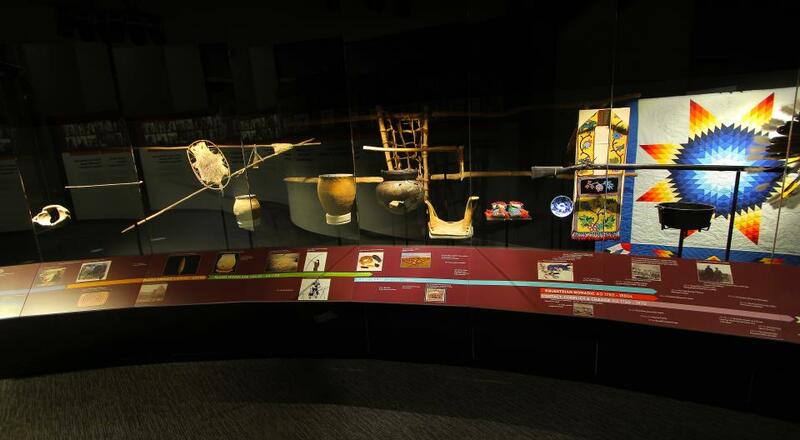 Photographs and artifacts create a timeline highlighting both North Dakota and global events.